You may realize at this point that I am a bit of a choholic. I love it in any form. I'm looking into chocoholics anonymous. Does anyone want to join me? 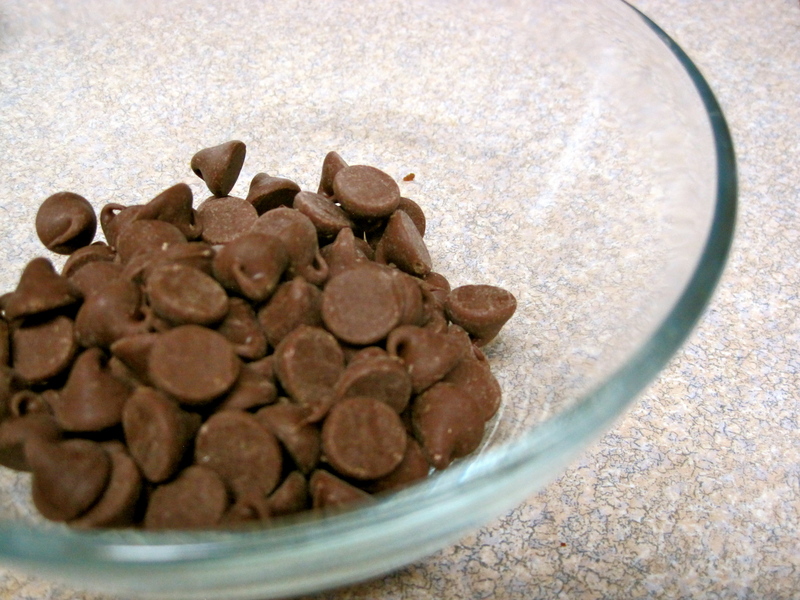 To celebrate Valentine's day on my blog, I thought I'd whip up something chocolate (surprise!). Truffles seemed like the most appropriate dessert. They are small, but rich and creamy. Perfect for chocoholics. The entire truffle making process it so ridiculously simple (and fun). They are hardly any effort but taste delicious all the same. For this recipe I used a mixture of semisweet chocolate and unsweetened chocolate. They are a bit sweeter than a traditional dark chocolate truffle, so if you prefer something a bit more strong, use a more bittersweet chocolate. This is a great hands-on activity, but it does get a bit messy. If you wet your hands a bit before rolling the truffles, they won't stick as badly. I went a bit topping crazy. 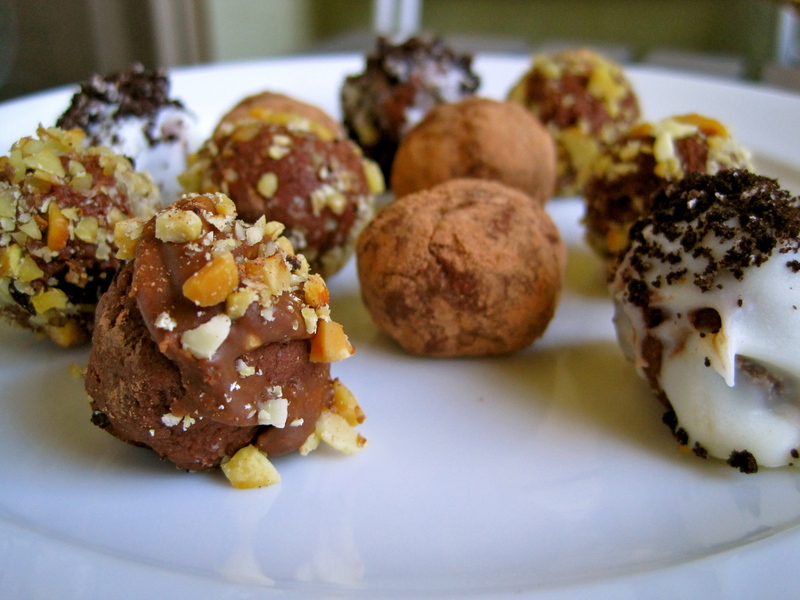 I tried to think of all of the tasty things in my pantry that would go well with truffles. I used walnut pieces, peanuts, cocoa powder, crushed Oreos, melted white chocolate, and melted peanut butter cups. 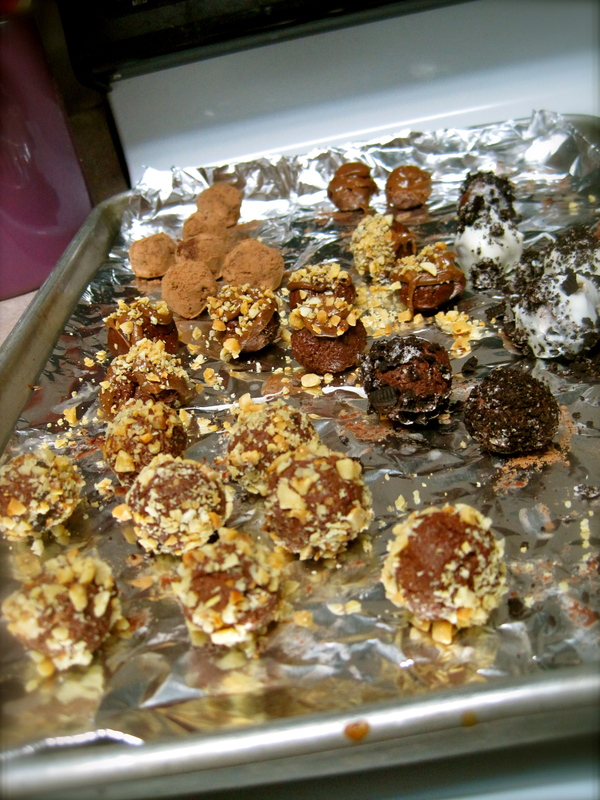 I put the melted peanut butter cups in a plastic bag and then cut a hole in the corner to drizzle on the truffles. This was my cookies and cream creation. 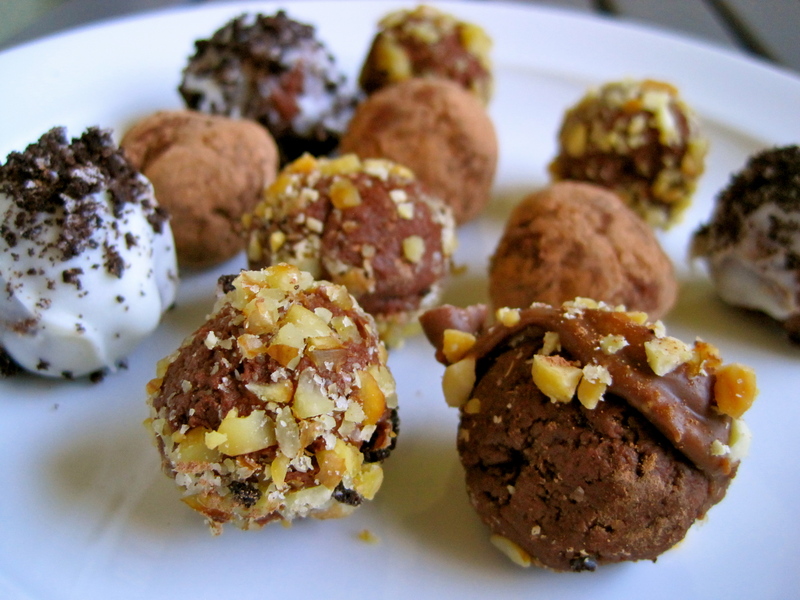 These are just a few ideas, but I'm sure there are several other things that taste well with truffles. In a stand mixer or with a hand mixer, beat cream cheese and powdered sugar until smooth, about 2 minutes. 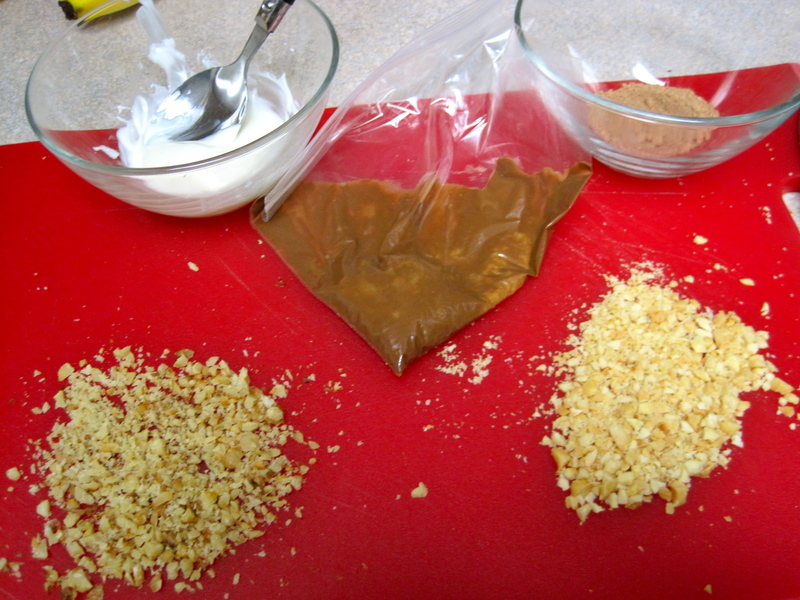 Add melted chocolates and vanilla extract, mix until combined. Chill mixture for 2 or more hours. 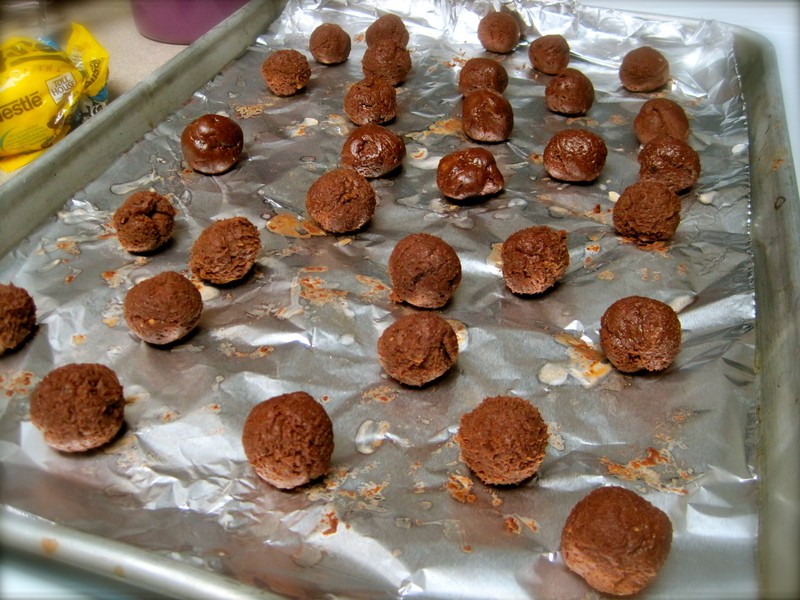 Once chilled, scoop cheesecake mixture into small balls using 1 teaspoon measure for smaller truffles, or 1 tablespoon measure for larger truffles. Roll each scoop into a round-ish ball (Wet hands help, so they won't stick to you as badly). Chill for 15 minutes and prepare desired toppings in the meantime. 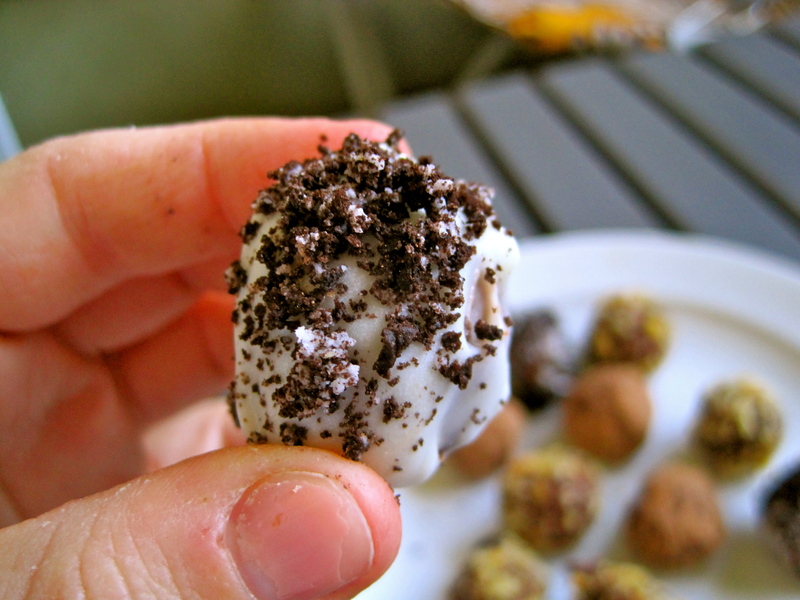 Roll truffles in dry toppings (like the nuts, cocoa, etc.) or dip in the chocolate/peanut butter. Get creative! Keep truffles chilled. Remove from refrigerator immediately before serving. Apple Fritters and a Very Special B-day!